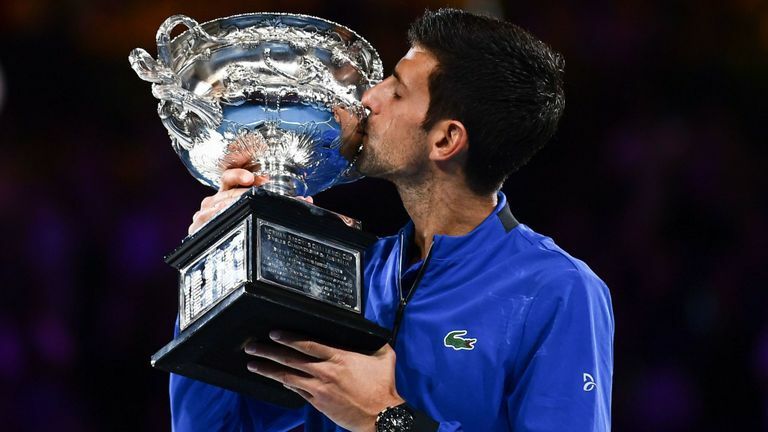 Colombo, Jan 27 (newsin.asia) – Novak Djokovic beat Rafael Nadal 6-3, 6-2, 6-3 in the final to win the Australian Open for the seventh time in his career. It was a dominant display of tennis by Djokovic who left the crowd stunned at the Rod Laver Arena. Nadal had never lost in straight sets ever before in the final of a Grand Slam. He (Djokovic) has now won more Australian Opens (7) than any other male player in history taking his grand slam tally to 15 titles, two behind Nadal and five behind Federer.